Electronic and printable forms are available online. If you register in person for classes, you will need to complete this form. In order to drop a course, you will also need to complete this form. An academic certification is an official document provided by the University Registrar verifying dates of attendance, award of degree and student status (full-time or part-time) by term. It is typically requested for health insurance, visa, employment and credit verification purposes. There is no fee for this service. When you have completed your required certificate coursework, and all grades have been submitted, please complete the Application for Certification. When you are in your final term of your Master of Science program, you must file an Application for Degree in order for your program to review your eligibility for degree completion. If you request an incomplete in a class you will need to submit this form to the Office of Student Affairs. Students are required to inform and consult their professors regarding their decision/request. In order to officially change your name you will need to complete this form and submit it to the University Registrar. If you are enrolled in a degree program and decide to take a leave of absence you will need to submit this form to the Office of Student Affairs. You will need to consult your program director regarding your decision to take a leave. The Federal Family Educational Rights and Privacy Act of 1974, restricts the persons to whom the University may disclose a student's education records without the student's written permission. Upon written consent or request by a student, the University will release information from the student's educational records to third parties. The student should make a request for such release by completing a FERPA Release Form and submitting it to Student Affairs at sps-studentaffairs@columbia.edu. A transcript is an official record of a student’s entire tenure at Columbia. It reflects all coursework and grades per term for each school attended within the University. Enrolled students may request transcripts online in SSOL or in person in Kent Hall. There is a one-time fee for this service, charged at the time of first enrollment. Transcripts cannot be produced for anyone whose record has been put on hold for an outstanding University obligation. Master of Science students may qualify for Course Waivers or Advanced Standing if they meet all eligibility requirements as described in the Course Waiver or Advanced Standing policies. If you encounter an issue with the electronic form, please submit the PDF version, along with all required attachments, to sps-studentaffairs@columbia.edu. If, after reading the Course Waiver and Advanced Standing policies, you have further questions, please email sps-studentaffairs@columbia.edu. Complete this Notice of Withdrawal form if you intend to drop all of your courses this term. When you click ‘submit’, the website will confirm that Student Affairs has received it. 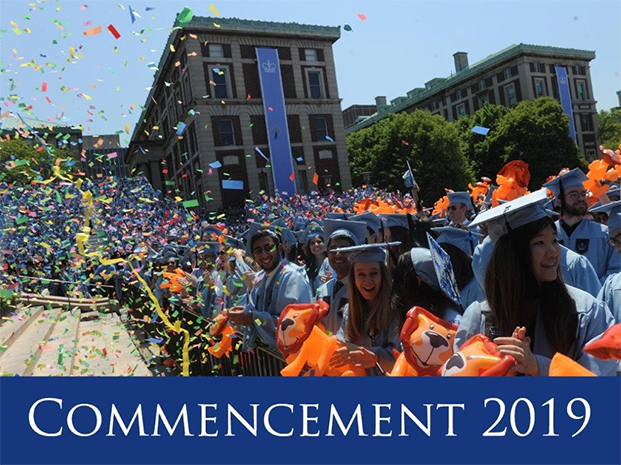 You will also receive an e-mail from sps-studentwithdrawals@columbia.edu as a second confirmation. If you encounter an issue with the electronic form, please submit the PDF version to the above e-mail address. A non-refundable, $75 fee is applied to all withdrawals. To see if you are entitled to a refund, please visit Withdrawal & Tuition Refund for the fall and spring terms or for the summer sessions. If you are entitled to a refund, refunds are automatic for all School of Professional Studies programs except American Language Program and Auditors/Lifelong Learners. Students in the ALP or auditing programs should log-on to SSOL to request a refund after the withdrawal has been processed. For those who will receive an automatic refund and do not have direct deposit set-up, please log onto to SSOL to see where your check will be mailed to. Master of Science students enrolled in both full term and partial term, online Business Certification courses are NOT ELIGIBLE for the partial term withdrawal refund schedules. Master of Science students who wish to add or drop partial term courses must do so during the Change of Program Periods associated with each of those partial terms. If students drop individual, partial terms courses after the partial term Change of Program Periods, they will be responsible for the full tuition of the course.